Flappy Bird is trending once again but this time it's not just an apps but a real one (In Real Life Version). I mean you will be playing it mechanically, so they called it the real life flappy bird game in the box. The real life flappy bird is now a hot topic worldwide. It seems like it's going to hit the market soon, if the creator Fawn Qiu will make a commercial version or sell it on various stores online. 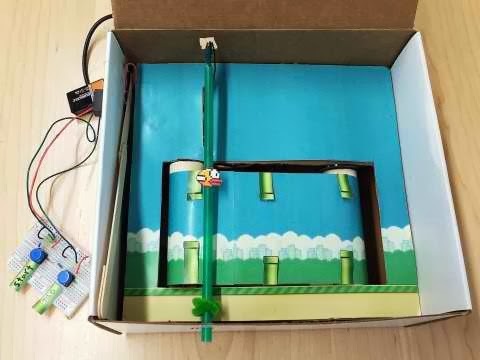 So how did Fawn Qiu built, the real life or IRL version of flappy bird? He came up with the IRL idea through the Mario in a box game. Materials: Arduino, two servo motors, reed switch, and magnets. Watch the video on URL below.